Speedflex manufacture a range of door bumpers including CNC machined food safe bumpers and industrial heat draped teardrop bumpers. 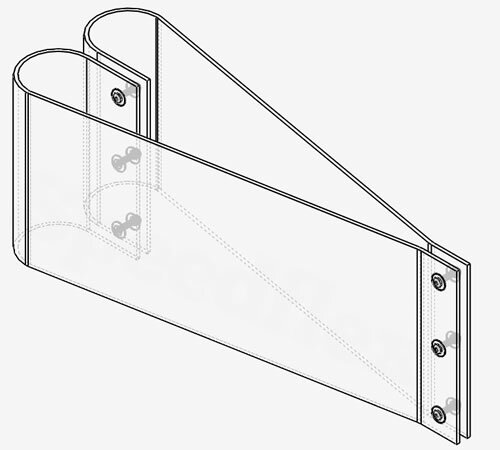 Door bumpers are designed to add additional protection in repetitive impact applications. Each bumper is strategically positioned to cater for a variety of goods traffic on site and can be included for each door model. Speedflex also manufacture door bumpers for customers who wish to add additional protection to their existing doors. Manufactured from Polyethylene, ABS & Polypropylene, our teardrop bumpers provide excellent protection for impact applications. Using a heat drape manufacturing process, each bumper is perfectly formed to provide excellent spring resistance to ensure maximum performance and protection. Bumpers are available in a range of sizes and are easily trimmed to size if required. In addition to providing bumpers with each door we manufacture, we can also provide bumpers separately for addition to existing doorsets. Installation is achieved by simple bolt through application. Our range of door bumpers are available in small and bulk volumes and manufactured directly by Speedflex in the UK. In addition to offering a made to measure service for larger orders, we also offer competitive rates for trade and export orders . Please contact us for further information and to see how we can help with your requirements. 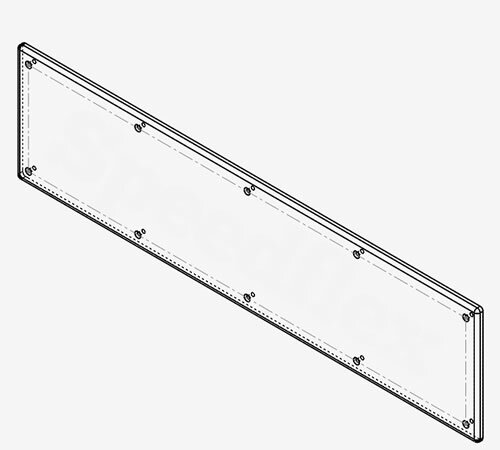 Using the latest manufacturing techniques, industry leading software and qualified engineering team, Speedflex provide a range of food safe bumpers manufactured from HMWPE 500 and UHMWPE 1000 Polyethylene. Unlike our heat draped teardrop bumpers, our flat bumpers maximise clear openings when doors are in an open position. All bumpers are precision manufactured and can be provided with a range of edge profiles and manufactured in strip form, lower half height and full height. All bumpers are available in a range of colours and thicknesses designed to accommodate a range of traffic applications. Bumpers are fitted by either bolt or screw application and provided with pre-drilled and ready for fitting. All Speedflex door bumpers are manufactured in the UK and available for delivery in days, not weeks. All bumpers are available in a range of colours and sizes and full technical drawings can be provided on request detailing all profiles, hole arrangements and fitting details.